KLEEMANN has 20 years of experience with tuning and styling cars from Mercedes-Benz. This ensures quality and functionality in every KLEEMANN product. As a result KLEEMANN is among the very best in the world when it comes to engine tuning, and their own KLEEMANN ECU upgrade is no exception. 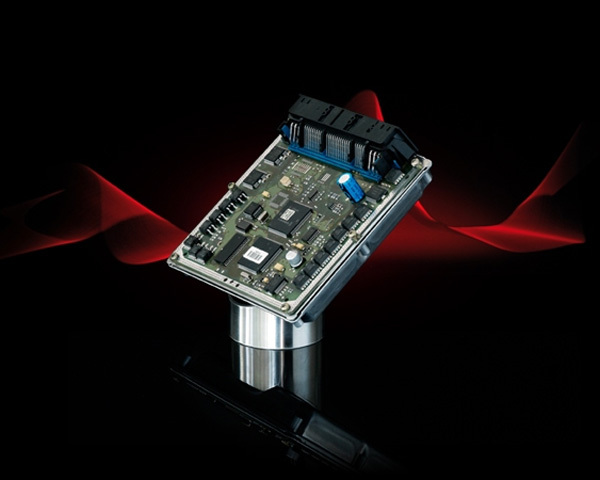 Optimizing the engine control unit will enhance the power output and refine the driving characteristics of the car. Whether the engine runs on petrol or diesel, or is a forced induction or naturally aspirated engine - KLEEMANN has a solution that will fit your Mercedes-Benz. A naturally aspirated engine will gain an 8-10 percent enhancement in torque and horsepower, while a turbo or compressor charged petrol engine will gain up to 20 percent more power. Fits: M112, M112K, M113, and M113K Engines. Your ECU must be sent to Kleemann for Modification. Please call for more information. Note: Images are for representation only. Actual product may vary. Kleemans philosophy is simple, but very important. A Kleemann upgrade will raise the performance of your Mercedes-Benz or AMG to another level, and their design will refine the appearance of the car significantly while still honoring the lines and shapes of the original vehicle. Their goal is to enhance the best qualities of Mercedes-Benz and AMG cars, and even a full Kleemann conversion performed on a top-of-the-line model will never compromise style, safety or reliability. The combination of tremendous performance and everyday drive-ability that provides both joy in ownership and intense driving pleasure to their clients all over the world is what characterizes a Kleemann car.